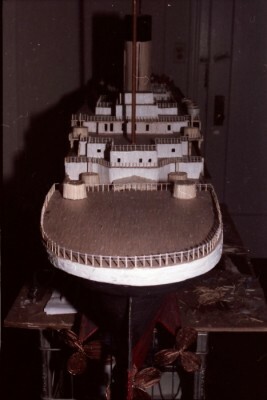 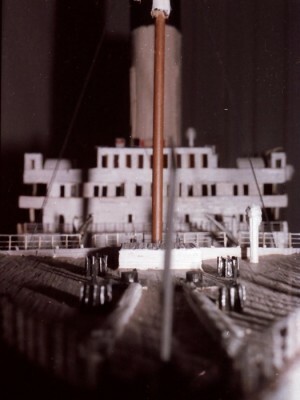 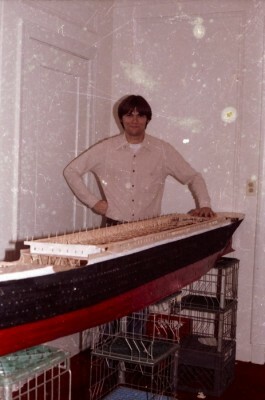 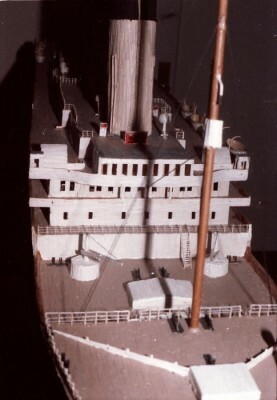 The toothpick Titanic was created by building a skeleton, that resembles a roller coaster. 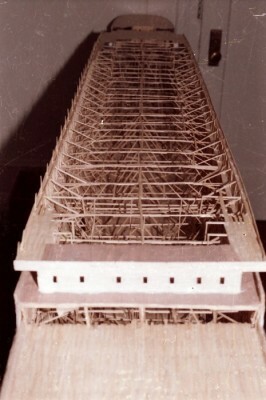 Then the skeleton is cladded with toothpicks in a semetrical fashion. 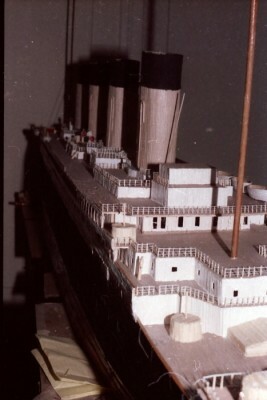 This view is of the foredeck looking aft.